Are you replacing the vehicle ('.yft') or the texture ('.ytd') or both? 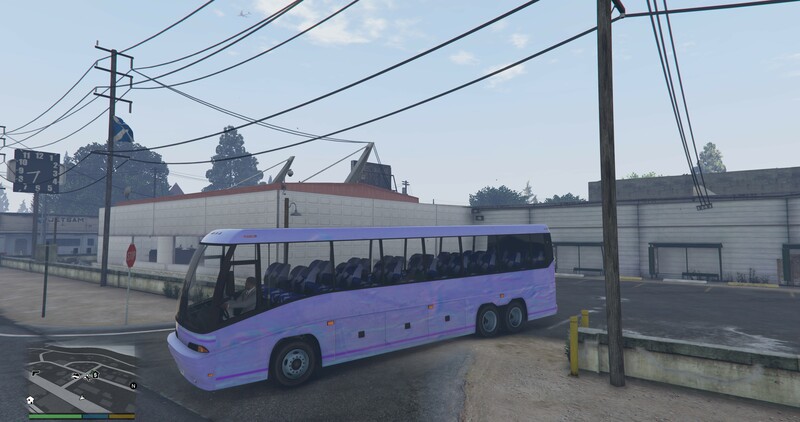 (from what you said it sounds like you are replacing the vehicle but the pic is of the vanilla coach which suggests texture replacement so I wasn't sure ). Generally, if the mod you are downloading only supplies you with a '.ytd' or '.yft' (or both) but no '_hi.yft' or '+hi.ytd' then you would replace the '.ytd' & '.yft' as normal & then delete the '_hi.yft' &/or '+hi.ytd' from the game entirely (after making backup etc). OpenIV > 'Ctrl+F3' > Select 'Search in "mods" folder only' from the dropdown > Search for 'coach.ytd' & then after that, also search for 'coach+hi.ytd' & see if you find any duplicates anywhere else. If you find any, either delete them or replace them with your modded files.